TCS registered revenues at Rs 30,541 crore in the second quarter of financial year 2017-18, up 4.3 per cent from Rs 29,284 crore in the year-ago period. 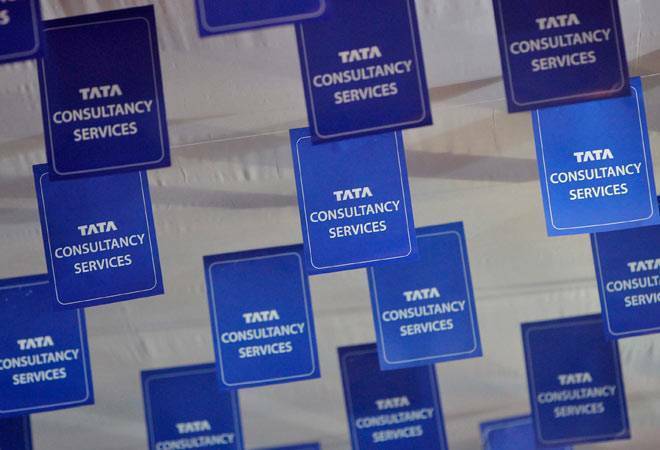 Tata Consultancy Services (TCS), presented its financial report for the second quarter of current fiscal today. The biggest IT compnay of India saw its net profit for September quarter rise by 8.4 per cent to Rs 6,446 crore in comparison to the last quarter in the ongoing financial year. The Mumbai-based tech giant stated that the rise in numbers come from exponential growth in business volume. Moreover, the company has declared a dividend of Rs 7 per share on the back of the revenue growth. TCS registered revenues at Rs 30,541 crore in the second quarter of financial year 2017-18, which is a 4.3 per cent increase from Rs 29,284 crore seen for the same period last fiscal, and 3.2 per cent as opposed to last quarter. Operating margin by September 30, 2017 came to 25.1 per cent, which is a 1.7 per cent quarter-on-quarter growth. "We experienced robust volume growth in Q2, driven by good demand across multiple industry verticals. Strong, broadbased client metrics this quarter demonstrates our increasing success with newer customers. Large deal wins this quarter, a good pipeline, and bottoming out of the Retail sector softness positions us well," TCS CEO and MD Rajesh Gopinathan said while presenting the compnay's quarterly report. He further added that the company continues to gain share in the fast growing 'digital spend' of its customers. "We continue to gain share in the fast growing Digital spend of our customers, evident in our industry-leading Digital growth in Q2. By sharpening our focus on individual components of the Digital service stack, we have been able to bring to bear the full power of our contextual knowledge, research and innovation, and investments in location-independent agile, automation and cloud on our customers' transformational imperatives and become a trusted partner in their Business 4.0 journeys," said Gopinathan. TCS registered a growth in digital revenue at 19.7 per cent during Q2 of financial year 2017-18, which is 31 per cent higher than what was seen for the same period during last fiscal, and 5.9 per cent in comparison to the previous quarter this year. "Our investment programme remains geared for growth. Continued investments in digital design and transformational capabilities are paying off, and it shows in the strong growth in our Digital business," TCS CFO V Ramakrishnan said. Meanwhile, earnings per share grew to Rs 33.67 per share, a 10.8 per cent increase in comparison to last quarter and highest in last three quarters, a compnay statement showed. In the course of September quarter, TCS saw its IT attrition rate (LTM) come down by 0.3 per cent sequentially to 11.3 per cent. It added 15,868 employees (gross) and 3,404 people (net) in the September 2017 quarter, taking its total headcount to 3,89,213 people. The company also hired 3,725 employees in markets outside India, bringing the total to 6,979 in the first half of the fiscal year.